It’s out in the open now, the discrepancy in the views of the President and the Prime Minister about the timing of the elections. The Prime Minister hopes for July, while the President’s circle prefers September. I suspect it may be about astrology, but in Sri Lankan politics, the broad timing of the decision is not astrological –not even President Rajapaksa’s decision to go for an election two years ahead of schedule—but the fine tuning is. In other words, unlike in personal matters where the soothsayers’ word is law, Sri Lankan politicians make a political decision about the rough timing of the election on political grounds and from within your collective political unit (party, faction, family etc.) but your astrologer then homes in on the most appropriate date and time within the time frame they have indicated. The Presidential faction seems to prefer elections later rather than sooner for at least three reasons. The stated reason is the completion of the reform agenda, i.e. the 20th amendmentand the Right to Information Bill. The real reason is what they call the clean-up campaign, i.e. 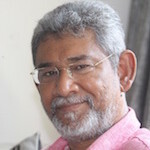 the prosecution of Rajapaksa loyalists and the consequent weakening of the Rajapaksa faction within the SLFP or provoking the latter’s exit from the SLFP. The real problem is not whether the intra-SLFP battle is going quite the way that the president’s loyalists and ex-Presidential patron thinks. The real problem is that an unelected UNP Government is either embarking upon or taking the rap for a risky roll up of political opponents in what looks a pre-emptive electoral strike, just as it is displaying testy political behavior (e.g. Prime Minister Wickremesinghe during 19A and on theSupreme Court ruling on GR). It is conducting itself in a highly polarizing manner and is doing so without a legitimate mandate to govern. In short it is pushing its luck. If things go on as they are doing, without a general election, and especially (but not only) if compounded by an economic crunch, something will surely pop, and it won’t be pretty. Prime Minister Wickremesinghe is probably aware of a coming economic crunch and wants an election before that. Foreign Minister Mangala Samaraweera, for his part, wants an election which will bring the UNP into office and capable of making commitments, before the Geneva sessions in September and preferably before the UN High Commissioner presents the report of the UN International Inquiry in August. The President’s faction doesn’t seem to spot a downside. It seems to operate with two scenarios; either the UNP leverages its Western connection and gets the Yahapalana administration out of the mess, or it takes the heat and the hit on both the economic and external fronts. The betting seems to be that the West and India will bail out Sri Lanka in order to protect Ranil, and therefore he should be kept in place as a human shield. 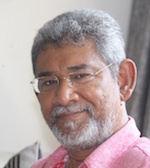 If that doesn’t work, then the UNP will be weakened while on another front the Rajapaksas would have been legally incapacitated– and the big winner would prove to be a pro-presidential SLFP-JHU-DP caucus. Ho-hum. This “strategic thinking” is actually tactical thinking, and is a classic case of being too clever by half. While I’d find it fun to see Ranil on the wrong end of an economic crunch and an external sell-out, with the nationalist-populist Opposition tendency the obvious, inevitable beneficiary, the stakes are far too high to play such games. Be it an economic course correction to avoid or manage a crunch, or a stance in the UN Human Rights Council to cooperate and comply with with (RW-CBK-Mangala) or prudently countervail (my preference) the UN International Inquiry, the country needs an elected government. That government cannot be the SLFP as currently represented in parliament stepping into the UNP’s shoes. This is because it has been weakened by the appointment of a UNP Prime minister and Government and by the neutralization of the local authorities. The dice is loaded against the SLFP and in any case it would be against its interests to take over the reins and face an economic and external affairs crisis a few months before inevitable elections in April 2015. An SLFP government today will be vulnerable to UNP- JVP attack and anti-incumbency sentiment. It will go down to a dreadful electoral defeat—which is probably the grand plan of the Harridan of Horagolla (more indigenously, the Batakola Archchie of Attanagalla), so she can waddle in (or ride in on her broomstick) and pick up the pieces. Given that the choices are so radical and polarizing, the best option for the nation is to hold a parliamentary election and permit a new government, which will probably be a coalition, to handle the economic and external issues—which are interrelated and interactive. Similarly President Sirisena should say “the UNP says elections in July and no later. The SLFP says elections in September and no sooner. I say elections in August.” He should just split the difference; head straight down the middle.